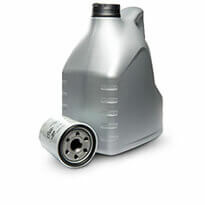 It picks up dirt, particles and other impurities and deposits them in the oil filter to keep your engine clean. Routine oil changes keep all the moving parts moving, and cut down on friction to cool the motor so your vehicle keeps running longer. Check your owner’s manual to find out when your vehicle needs an oil change. And don’t forget to change your oil regularly. At Meineke Car Care Centres, we have several oil change options to choose from. Visit one of our trusted service centres today to find out the oil change package that’s right for your vehicle. Our certified technicians will consider the make, model, condition and kilometer of your car before recommending the necessary oil change. We offer synthetic blend, high kilometer or full synthetic oil change packages that are recommended based on your car’s individual needs. Performing your own oil change is a hassle. Our oil change offers make it affordable to have this job done by a professional. Visit our locations page or call your local centre today to learn about current deals and see how convenient and affordable your next oil change can be!